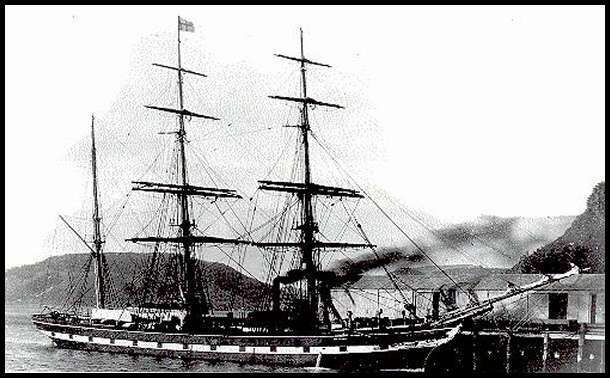 In 1873 Albert Benner, a young postal telegraphist from Kerry left Gravesend on the ship Dunfillan (aka Mataura), and arrived 4 months later in Port Chalmers on the 15th January 1874. 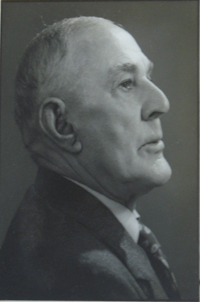 He was 20 years old, and joined the Post Office in Wellington, and was immediately sent to Bowentown, beginning a relationship with the Bay of Plenty that lasted to his death in 1934. 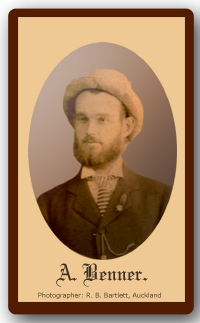 Albert was born in Kilmore, Co Kerry, Ireland on the 27th June 1854, the son of Arthur Benner and Sarah Worrell. 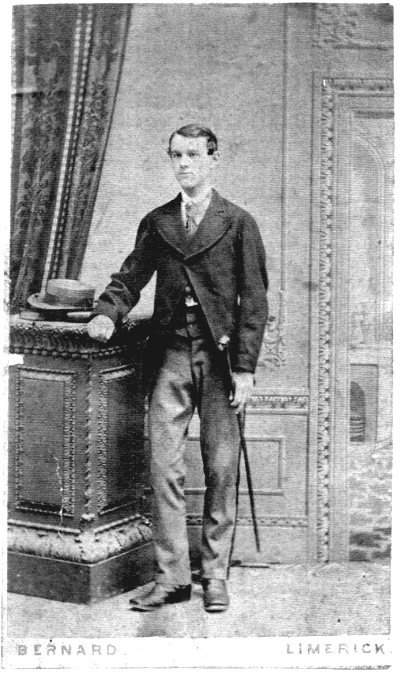 Albert left Dingle aged 16 years for Dublin where he entered the Telegraph School College Green in November 1870. 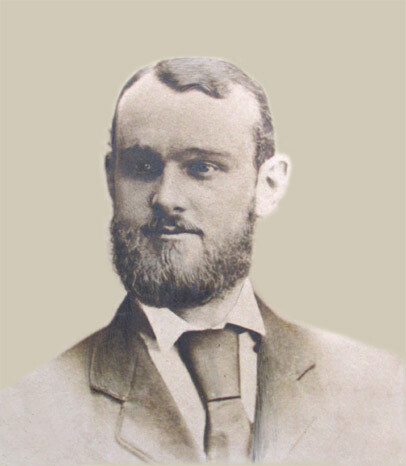 After successfully completing his study he joined the Limerick Telegraph Staff in June 1871. He lived with a Mrs McGurrey at Rathmus Rd in Dublin. On February 18th 1871 he passed the Telegraph examination at 29 College Green, Dublin. On March 27th 1871 he left Dublin and travelled to Shinrone, in Co. Offaly, where he visited Roscrea, Birr and Cloughjordan. On June 26th 1871 he left Shinrone and travelled to Limerick where he lived at 3 Lower Cecil St. At that time he weighed 10st 2lb. On August 31st he left Limerick and travelled to Knocklong on relief duty. On Sept 7th he returned to Limerick. On the 17th November he returned to Limerick, staying at Tipperary for a few hours. April 18th - Joe buried in Limerick. June 4th - left Limerick for Tralee on fortnight’s leave of absence. June 15th - In Killarney from 8am - 4pm, arrived Limerick 8pm. September 21st - left Limerick for Kilkee. September 26th - left Kilkee for Limerick. January 14th - Visited Adare with Bill Browning, through Lord Adare’s domain to Croom and back to Limerick by train. August 8th - Left for Kilkee on a weeks leave. August 18th - Left Kilkee for Limerick. September 6th - Left Limerick for Dingle on fortnight’s leave. Oct 22nd - left Limerick for London via Waterford & Milford. January 14th - Sighted The Snares and Stewart Islands. January 16th - Tugboat towed Ship to Port Chalmers and brought passengers to Dunedin. January 24th - Left Dunedin for Taipo Hill near Oamaru ( 80 miles ).Arrived in Taipo in evening. After a three year stint in Bowentown, Albert moved to Auckland. here he was appointed as the relieving officer for the northern portion. His first position was in Hamilton in 1878 [reference]. 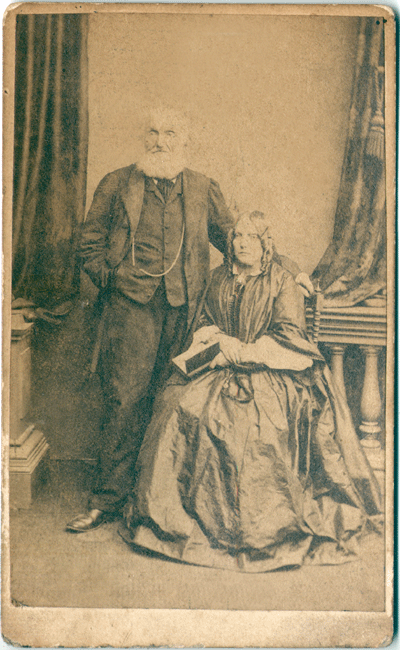 In 1881 Albert is recorded on the Coromandel Electoral Roll, and on 8th March 1882 he married Martha Lavinia Munro in the Registry office at Helensville. He was the Postal Inspector based in Auckland, and Martha was working as a teacher. 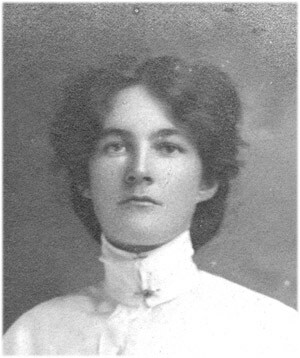 Their first child Linton was born on 29 Dec 1882 in Cambridge. 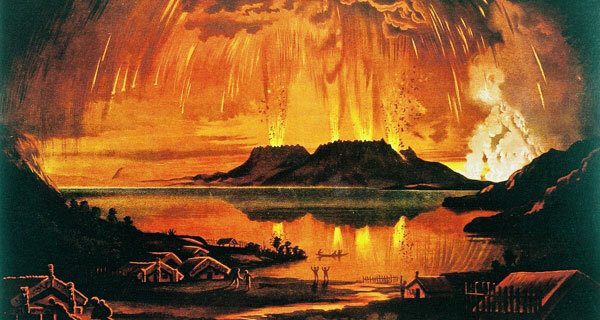 As it turned out, the Rotorua suffered greatly from the fallen ash, and not only did the telegraphy staff leave town, the telegraph lines had been downed in many locations. While these were repaired, all communications out of the area were made via the Maketu Post office. 1st earthquake felt at 2.30am. The most severe shock at 4.32am and the most severe period both as regards to severity and frequency 4.32am to 6.30am and (each is)* heavy up to 8am. First fall of dust 4.32am. Slight sign of day break from 6.20am to 6.50am. Total darkness from 6.55am until 9.45am. At 9.55 could see houses on the flat 100 yards off. Had first view of the sun at 1.30pm, but it was only barely visible at that time. The sky being full of dust – had to keep lamps burning till 2pm. Average depth of dust 1 inch. I had some cabbage and cauliflowers in the ground just coming up on the 8th although they must have been covered ¾ inch with dust. They came through the debris about 8 days after the fall and seem to do well considering the weather. Noticed electrical disturbances on the 16th April & 3rd, 5th, 10th, 14th June. On the 5th of June very strong and lasted from about 9am until 12.10pm. I had never seen anything so continuous until (the) morning of the 10th June when the wires were altogether unworkable from 5.50am until 9.50am and continued for some time after 9.50am but not so strong. 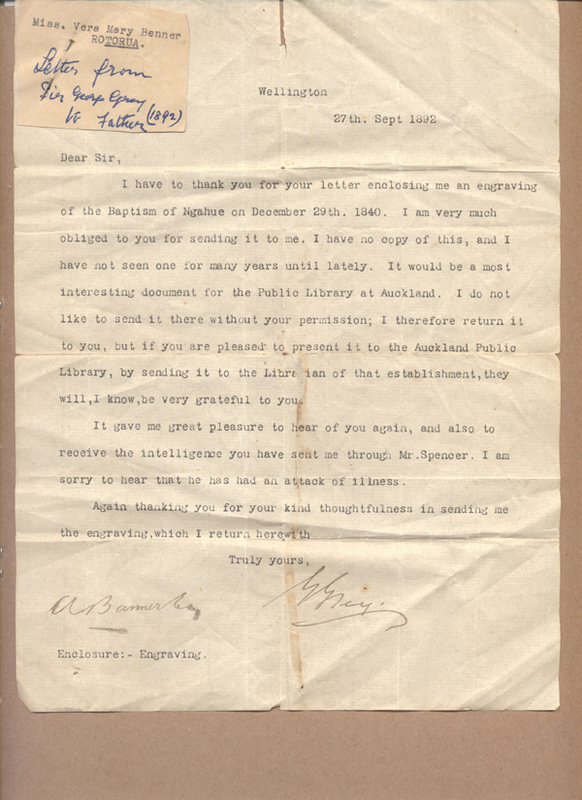 Albert received a personal thank you from the then Governor, Sir George Grey for his efforts in reporting on the disaster. On 24th August 1886 their third child Trevor was born at Maketu. 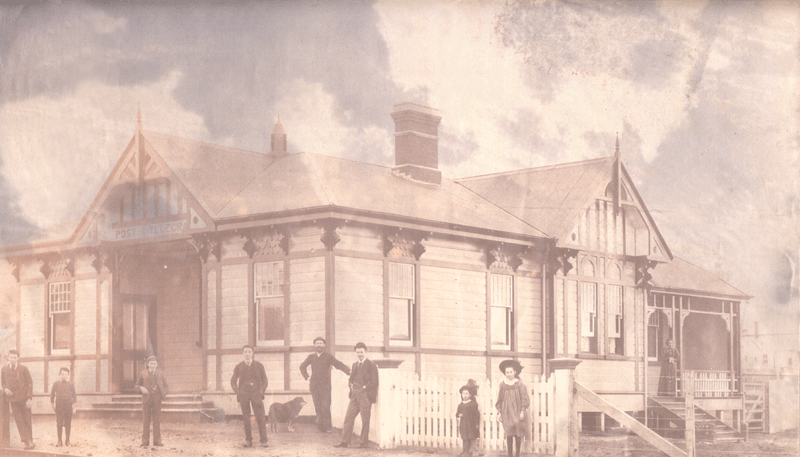 In 1888 Albert was appointed as the Clerk of the Rotorua Licensing District, and the following year, 1889, he bought 45 acres property in Maketu. 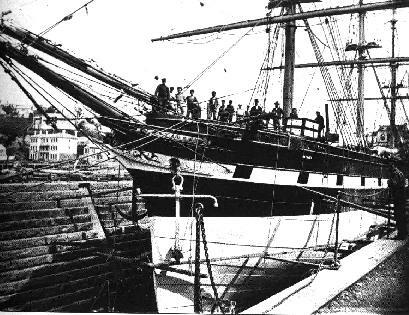 His nephew Ted arrived aboard the Iconic in Novermber of that year, and he proceeded to farm in Pongakawa on land selected by Albert. Another year later his brother John Henry Benner arrived with his wife Charlotte and family. They were initially housed with the Matravers family in Maketu, while their home was being built at Pongakawa. 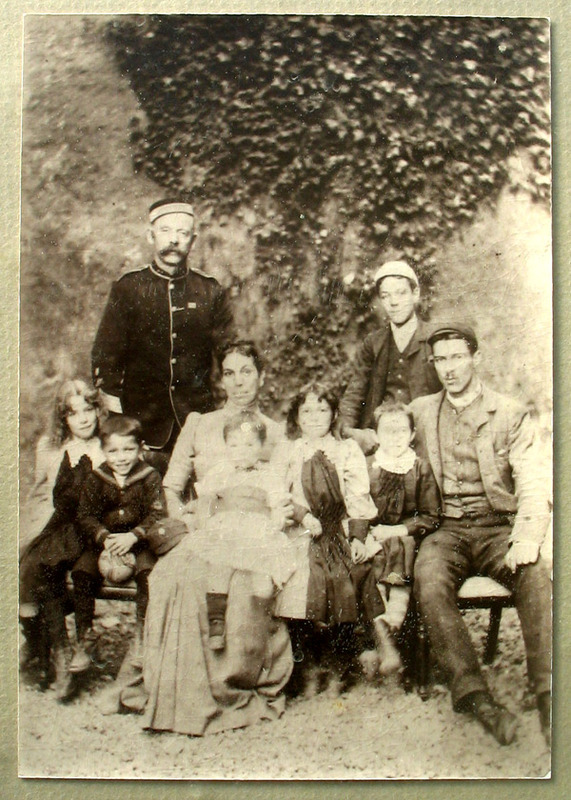 In 1891 their fourth child Rita was born. In that same year he was recorded as a rate payer in Cambridge, so he obviously retained some land there as well as in Maketu. In 1904 he was recorded as having an extended holiday in Rotorua, and witnessing the destruction of the Grand Hotel by fire in October of that year. At this time a happy life was lived, and there are many records of the family playing tennis, often father and daughters winning their matches in the local competitions. In 1910 he purchased the property at Union St in Rotorua. In 1911, Albert was appointed the Registrar of Births, Deaths and Marriages in Patea. Albert retired in 1913, to Auckland, and later back to Rotorua and Maketu. Not much is known between this time and 1934 when he died in Rotorua. We know that he eventually lived in Maketu and is buried there after dying on the 29th June 1934. Annecdotal evidence indicates that while he lived in Maketu, his wife Martha continued to live in Rotorua, and regularly sent meals to him. According to Vern Benner in his book Born To Fly "Grandad was a fitness fanatic and spent the last 15 years of his life at Maketu where he swam winter and summer until he was in his eighties. Gran was rather rotund and was happier on the "tar seal". She lived with her daughter Vera in Rotorua. The daughter Vera was Librarian at Rotorua for about 40 years." 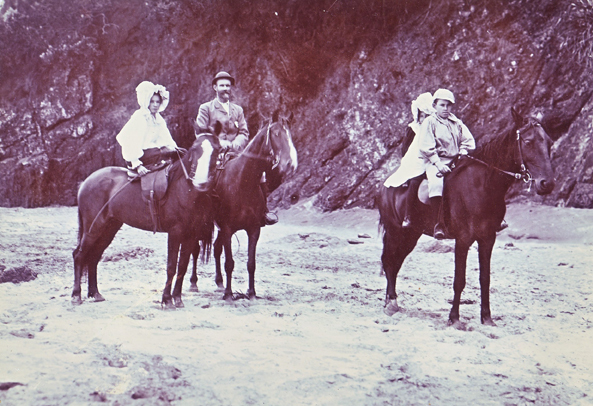 This shows Albert riding with his children at Maketu beach. At the left is Vera, riding side saddle. On the right is Trevor Albert, with Rita snuggled in behind. The horses look a little startled by the camera flash me-thinks. Athol Stace also related that Albert was into natural medicine, and that he was also a vegetarian. It is of interest that this aspect of his lifestyle skipped a generation or two, and re-appeared in a number of his great-grandchildren. In another annecdote about Albert from Vern Benner, "in these small places [such as Patea and Maketu. Ed.] Grandad usually lived over the premises. I may be wrong but I think he was paid about 75 pounds per annum, with a meagre expense allowance. He travelled by horseback, and on one occasion he delivered mail to Te Kooti at Paengaroa. Although he carried a revolver, he felt a bit nervous when surrounded by the savages with their war paint still on, even though they had been pardoned." 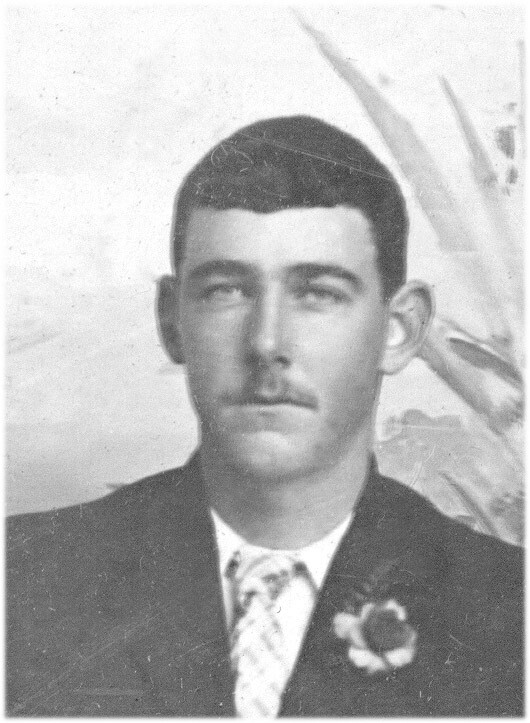 Mr. Albert Benner, Postmaster at Waihi, Officer for the Issue of Miners' Rights, and Registrar of Births, Deaths, and Marriages, was born at Kilmore, in the south of Ireland, in 1854. He came to Port Chalmers in 1874 with the idea of farming; but after an experience of three or four months he joined the post office at Wellington, and was placed in charge of the Bowentown Post Office at Katikati Heads. Mr. Benner had, before leaving Ireland, been in the telegraph department for three years at Dublin, Limerick, and other towns. 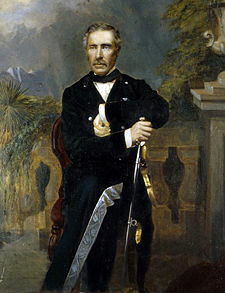 After three years at Bowentown Mr. Benner was transferred to Auckland, where he was stationed for twelve months before being appointed relieving officer for the northern portion of the colony. This position he held for six years, when, his health breaking down, he applied for the postmastership at Maketu, Bay of Plenty, where he remained till 1897, when he was transferred to Waihi. 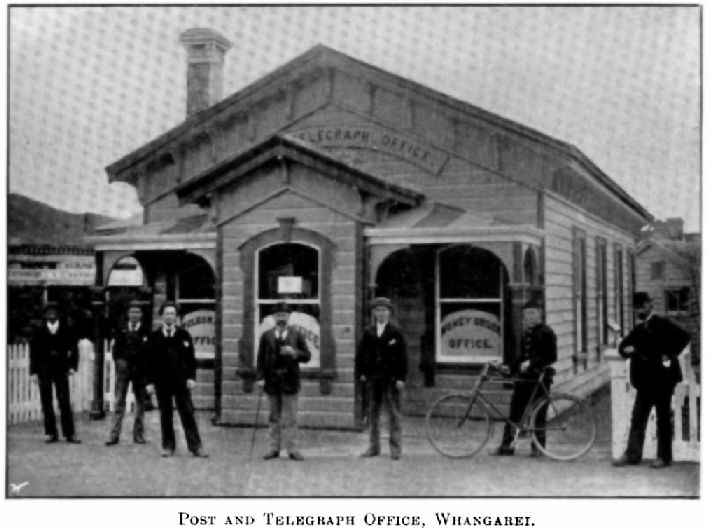 Mr. Albert Benner, Postmaster at Patea, has been in charge since March, 1902. He is an old post office official, and served in Ireland before coming to New Zealand in 1874. The Patea Post Office stands in Egmont Street, and was erected in the seventies. It is a wood and iron building, and contains a mail room, an operating room, a private letter box lobby with eighty boxes, and a postmaster's room. There is also a telephone exchange, with twenty-nine subscribers. Eight mails are received and despatched daily, and there is a town delivery of letters. The staff consists of a postmaster, three cadets, two messengers and a letter carrier. In 1892, Albert sent an engraving of a ceremony where an elderly Maori Chief was baptised shortly before his death. 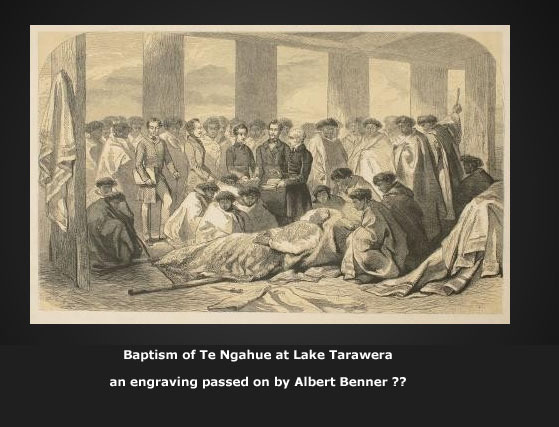 The "Baptism of Te Ngahue" engraving was returned with the suggestion that it be deposited with the Auckland Public Library. Subsequent research is being done to locate this engraving. It could be this one. The letter from Sir George Grey is here. Article published in the Northern Advocate upon Albert's retirement, and the barometer presented to him by the staff at Whangarei PO.